This badge was issued to Sombir Sheoran on 21 Jan 2019. 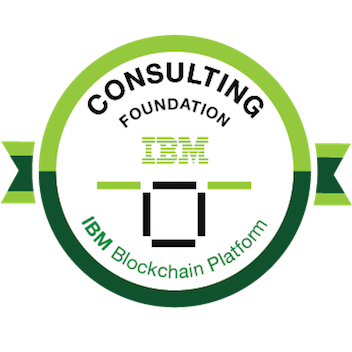 The earner has an understanding of Blockchain principles & practices and how they can be used to advise an org. considering adopting Blockchain. They can articulate the following: the history of Blockchain; what Blockchain is and how it works; structure and components that make up the Blockchain; why it is considered "disruptive" and its general business application; differences between Blockchain platforms, their merits & implementations; technical components; and how it is developed/deployed.